Dorothea Brennan is a core team facilitator for Leadership Strategies and a Certified Master Facilitator™ by the International Institute for Facilitation. Experienced in project management and process improvement and a former executive at large financial institutions, Dorothea is an award-winning facilitator, leader, and public service advocate. In 2013, Dorothea was honored by the International Association of Facilitators (IAF) with industry awards for her facilitation achievements in the utility industry. She is also a Certified Process Master by Hammer and Company. Highly experienced in various types of decision-making, problem-solving and team-building sessions, Dorothea has facilitated and co-facilitated large strategic planning efforts. Most notably, Dorothea worked with utility management and union members at United Illuminating to develop and implement a safety strategic plan. The approach and significant improvement in safety performance earned her the prestigious Platinum Impact Award by the IAF. Dorothea’s management and facilitation experience spans several industries, including financial services, utilities, consulting, and the public sector. Her extensive banking background includes serving as a Senior Vice President at People’s Bank, now People’s United, where she managed Connecticut’s largest mortgage business and developed a profitability management system while in the financial division. Dorothea was also a Senior Consultant and Manager at KPMG. 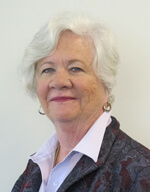 Dorothea has served as a member of the Board of Directors for multiple federal, state and municipal boards, a non-profit hospital and numerous arts organization, including the State of Connecticut’s Board of Governors for Higher Education. Her involvement in community activities also includes facilitating and presenting to numerous corporate boards, cross-functional teams, vendors/partners, and staff. Dorothea has written several articles in the banking industry and is an active member of her alma mater. She has served as a mentor for Fairfield University sophomores for close to a dozen years. She is a retired Police Commissioner, and a current Fire Commissioner of Fairfield, CT.
Dorothea holds a Master of Arts from Fairfield University’s Graduate School of Corporate and Political Communication and a Bachelor of Arts from Loyola University of New Orleans, LA, where she graduated with honors. She spent her junior year at the John Felice Rome Center in Italy and has traveled extensively in Africa, Asia, Australia, Europe and North and South America.